If you provide a service, sell a product, or otherwise interact with the public, it’s inevitable that someday you’ll be faced with an upset or angry customer. Maybe your product didn’t work the way that the customer wanted it to, or maybe an honest miscommunication turned their frustration into rage. Maybe they’re having a bad day and a hiccup with your company’s service was simply the last straw. Whatever the reason, it’s important that you deal with an upset customer with care. Your attitude and the way you approach the situation can make all the difference in whether that customer walks away satisfied or drops your company completely. In a world that’s increasingly more connected with review platforms like Yelp, customers rarely keep their frustration with a company to themselves. According to Groove HQ, angry customers tell an average of 16 people about a poor experience with a company (as opposed to happy customers, who tell an average of 9). Experiencing a communication barrier when you need to speak to someone can be infuriating. We’ve all been on hold with customer support before -- between the seemingly endless queue to the annoying elevator music on the other line, it can test even the calmest person’s patience. Giving customers an easy, stress-free way to reach you when they need help, have a complaint, or simply want to speak with you can go a long way in building trust and mitigating customers’ anger. Offering multi-channel complaint submission allows customers to reach you whenever and wherever they need you, from web to mobile to email and more. The faster you can respond to a customer complaint, the better. Letting a grievance sit unanswered allows the problem to fester and telegraphs to the customer that you have more important things to worry about than their needs. Conversely, a speedy response shows the customer that you value their time and that you’ve prioritized them. While it’s not always possible to respond to every complaint the moment it’s lodged, using complaint management software can drastically cut down on response times and help get the problem in front of the right members of your customer support team as quickly as possible. Many of these software solutions come with features like auto-assignment and automatic escalation that help to keep complaints from sitting at the bottom of the barrel for too long. Staying calm can prove difficult when dealing with an agitated or rude customer; however, letting yourself get worked up, losing your temper, or taking a defensive position will always make things worse. Customers don’t want to be shouted over -- they want to be heard. Give them the space to say everything they need to, whether it’s over the phone, via email, or through a complaint or support submission portal. Don’t interrupt them. If you need to, ask calm and neutral questions to get more information. Be sure to record all of the details manually if you aren’t using a customer support or complaint tracking software that can compile that information for you automatically. Then apologize for their inconvenience. Validate the customer’s feelings and let them know you understand their frustrations. Empathizing with them can begin to mend their relationship with your company and let them know you’re both on the same team. Now that you understand the customer’s pain point, it’s time to find a solution for the problem. Sometimes there’s an easy fix: a process you can walk them through step by step, or something your team can resolve in a matter of hours or days. Explain the solution in clear terms to the customer and then, if the solution will take time, keep them updated. 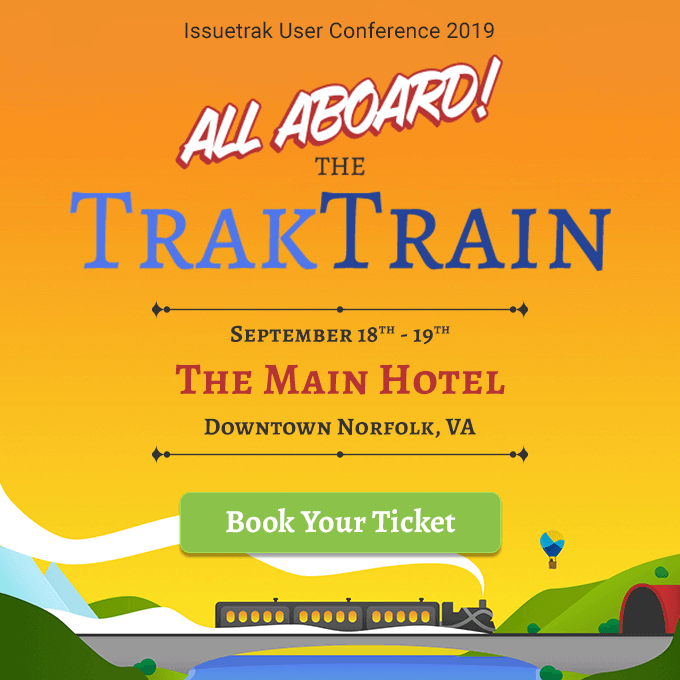 Software like Issuetrak can provide updates automatically, sending off notifications as the ticket makes its way from creation to resolution -- leaving you more time to focus on solving the customer’s problem. Then there are times where there’s no clear or immediate solution to the customer’s problem. Be clear with the customer and establish realistic expectations for what your company can provide for them. If you can make them a promise of an extended timeline, such as including their request in a future product update, make that promise -- but only if you’re certain it’s one you’ll be able to keep. Angry and upset customers can be difficult to manage, but those customers can also provide your company with useful insights and help pinpoint exactly where your service or product needs work. Actively listening and working with these customers (instead of butting heads with them) can help your team identify problems, leave a lasting positive impression on your customer base, and lead to fewer unhappy customers overall.